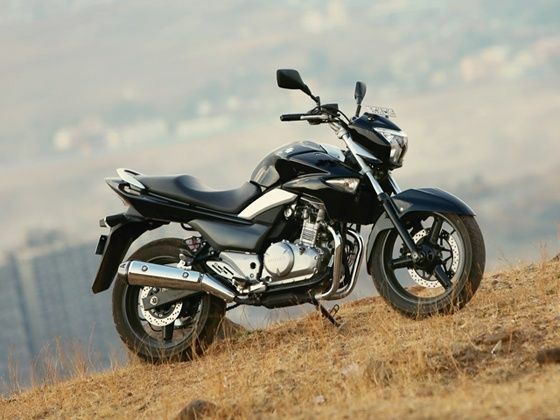 Suzuki Motorcycle India has confirmed to ZigWheels that its premium 250cc bike Inazuma will no longer be marketed in India from March 2015. The company says the decision was taken since it’s no longer viable to sell the Inazuma at its price point in India. Clearly, pricing was this capable Suzuki’s Achilles Heel. When it was launched in January this year, the Inazuma was priced at Rs 3.1 lakh, ex-showroom Delhi. At that price, it just refused to attract buyers and in just six months’ time, Suzuki slashed the Inazuma’s price by Rs 1 lakh. Almost a year on, it’s now time to pull the covers back on the Inazuma. It’s not that the Inazuma isn’t a capable bike, although its styling was understated and - let’s say, ‘underwhelming’. For the typical 250cc rider in a country like ours, styling matters a lot. After all, the ride of one’s choice should be a head turner, but more importantly, it has to have the performance backing it. Powered by a liquid-cooled parallel-twin 248cc engine making an average 26PS of power and peak torque of 24Nm, the Inazuma has excellent road manners, if not outright performance. But it just couldn’t excite the discerning Indian bike enthusiast, despite a refined and smooth twin-cylinder engine. In a market where maximum bang for buck rules, it just didn’t catch the fancy of the performance hungry crowd, particularly to those looking at upgrading to a larger, more powerful machine from small capacity singles. For them, a single or a twin doesn't matter, as long as performance figures are bragworthy. So, the Inazuma lost out to other bikes being offered at around the same price point, primarily to the KTM Duke 390 and to the Kawasaki Ninja 300. The Duke, despite a single cylinder engine, produces almost 35 per cent more power than the Inazuma, and that means a lot to buyers who would have to shell out upwards of Rs 2 lakh on a motorcycle. So now it’s time to say 'sayonara' to the Inazuma. Suzuki says the decision will not affect existing buyers though, who will continue to get spares and service support at dealerships. Share your experiences with Inazuma?